New Priority Club PointBreaks list – not too bad! 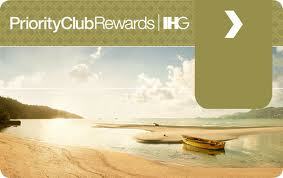 New Priority Club PointBreaks list released – and it’s not too bad! A while ago I wrote this post about the possible decline of Priority Club’s PointBreaks, the specially reduced redemptions that can be 90% cheaper than a standard redemption. Priority Club did eventually release a new list of properties, but it was pretty poor. Suprisingly, though, a new list emerged yesterday and it has some decent properties on it! Take a look below. You can click on the red hotel names below to be taken to the home page on the Priority Club website for that hotel. All are available for just 5,000 Priority Club points per night – saving up to 45,000 points on InterContinental redemptions. PointBreaks availability is very limited so book ASAP if you are interested. You can book for stays up to 10th December. Bookings are refundable as with a standard reward reservation. Of special interest, I think, are the 3 InterContinental properties in the Middle East which would make a decent three-centre holiday! Of the European properties, the Indigo in Berlin and the InterContinental in Murcia seem the best options. And if you fancy a trip to Vietnam, you can’t complain at an InterContinental beach resort for 5,000 points per night!